HaitianCreoleMP3: Learn French and Creole Online in No Time! 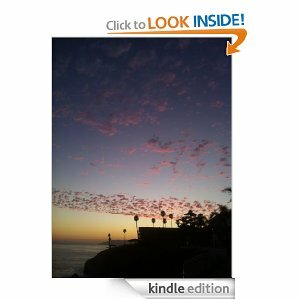 : Two New Editions of Poetry Books for Your Kindle: "California Blooms, Blossoms, and Harvest Delights" and "The Long Lost Garden of Eden"
Two New Editions of Poetry Books for Your Kindle: "California Blooms, Blossoms, and Harvest Delights" and "The Long Lost Garden of Eden"
"California Blooms, Blossoms, and Harvest Delights: Golden Vignettes From Big Sur, Pacific Coast Highway, California Scenic Highway 1 to Yosemite and Highway 99" is a book of poetry that focuses on the diversity of the people, the beauty of the land, bounty of agricultural products, entertainment industry, Pacific Coast beaches, and natural infrastructures and resources such as Big Sur, Yosemite, Grand Canyon, Scenic Highway 1, San Francisco Bridge etc. These poems compel you to meditate on all the common things that tend to show our interdependence and sameness. 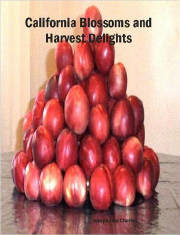 Poems such as 'Abrahamic Promise,' 'Bridges of California,' 'Autumn's Bare Limbs,' 'Cry Over Manzanar,' 'Pastoral Delights,' 'Freeway and Highway Crosses,' 'Harvesting Delights and Fall Transition,' 'Open Range...,' 'Roosting Marvels, Roosting Headache,' 'Tamales for the Holidays' are among those that will strike a personal chord with most of you. You can also purchase this ebook at Amazon.com. 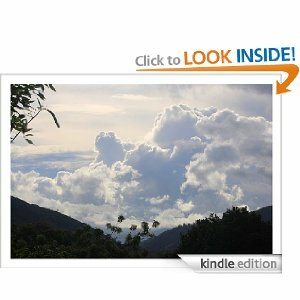 Download it to your kindle or your computer! 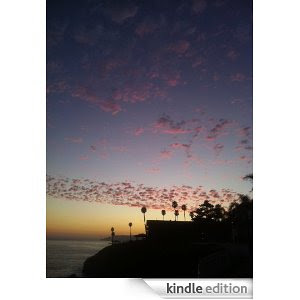 This book is an eclectic collection of poems and short essays on California's people and landscape, wine, beach and car culture. Wordsworth summarizes my poetic affinity, "Poetry is the spontaneous overflow of powerful feelings; it takes its origin from emotion recollected in tranquility." California Blooms, Blossoms, and Harvest Delights deals with this expansive, rich and fertile landscape in a way that readers will quickly recognize the important landmarks, features and attributes of the Golden state. It pinpoints areas of appreciation and highlights important cultural contributions and activities of the various ethnic and minority groups forming this new frontier, Central California. "Our hills and farmland are blooming with new houses and commercial buildings bordering fields of grazing cows." This is an uplifting and thought-provoking work. This book was previously released in 2003 with these cover pictures. Familiarize yourself with the title of the book! The Long Lost Garden of Eden is a tribute to the fruit growers of the Central Valley of California and all other agriculture-derived industries. Mr. Charles remains true to his upbringing deeply rooted in agribusiness. This book is the result of his keen observations and 12-year research into what makes the San Joaquin Valley one of the most fertile lands in the country. His poems will give you a glimpse of the Central Valley's diversity. His research has culminated into the realization that the Central Valley of California, locked between Southern and Northern California, is the fruit basket of the world. This collection will engage your mind and soul. It will provoke deep reflection that will lead to enlightenment, positive attitude and spiritual renewal. The themes of these poems are universal. Artistic appreciation, hope, beauty, love, loss, hard work, self-improvement, despair, migration, and drought are all themes anybody can relate to, irrelevant of their origins and taste. Buy this book now: Buy a copy of the new edition of "The Long Lost Garden of Eden" from Kindle now. Buy this new, updated edition of the book now: Buy a copy of the new edition of "The Long Lost Garden of Eden" from Kindle now. Email Delivery of PDF copy of "The Long Lost Garden of Eden." 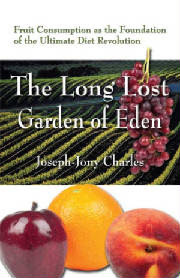 Author's Notes: Mr. Charles is the sole author of "The Long Lost Garden of Eden. "He knows nothing about this guy named 'Brendan Conlee' who has published the book as a paperback on many online sites including ebay.com, amazon.com, abebooks.com, bookfinder.com, shopping.com, allbookstores.com, dealtime.com, abebooks.co.uk, chegg.com, bestsellingbooks.biz, bookbyte.com, swap.com, tower.com, biggerbooks.com. If and when you buy a copy of this book published by or associated with 'Brendan Conlee,' you are just supporting a plagiarist. Mr. Charles has not received a response from the previous publisher, PublishAmerica.com, which certifies that the book has been out of print since December 27, 2009 due to the expiration of the contract. Despite this aggressive marketing of the book published on all the above sites, Mr. Charles has not received any royalties. It is fair to suggest that 'Brendan Conlee' who claims to be a co-author of "The Long Lost Garden of Eden" has been receiving all the royalties. So stop buying the book if it is associated with him. Return the copies you had already bought. This way, you will help Mr. Charles, the true author of the book. Help stop plagiarism!!!! !